Paradors are a great option when looking to travel around Andalucia with some fabulous historical hotels and more modern-style ones too. 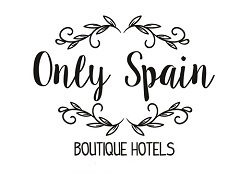 If you’re heading to the famous cities of Cordoba, Granada and Sevilla for example you’ll find a modern sprawling hotel, an old convent in the grounds of The Alhambra and a fabulous Moorish castle. If National Parks or beaches or more your style then try the Hotel Parador de Cazorla in Spain’s largest National Park in Jaen province or the Parador de Ronda on the famous Tajo Gorge. The modern Parador de Mojacar is right across from the beach as is the Parador de Nerja which is on the famous Balcon de Europa. Plenty of styles and locations, historical and contemporary but the standards don’t vary. To see the whole collection visit Paradors.